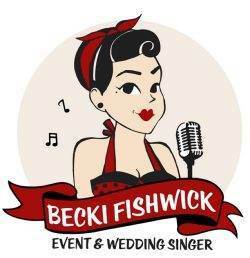 COMPANY OVERVIEW: Becki is a very well established wedding singer based in the Lake District, and travels the UK performing at vintage events too. 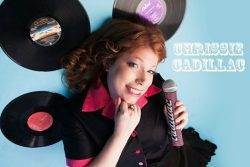 With a very powerful voice, covering many genres from 40s jazz to 50s rock n roll and 60s soul, and some modern day retro girls like Imelda and Amy Winehouse too. 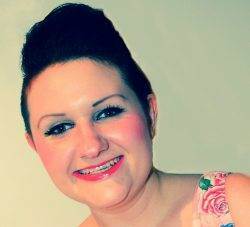 Becki offers many bespoke and full wedding packages with her DJ services and can learn your special song! 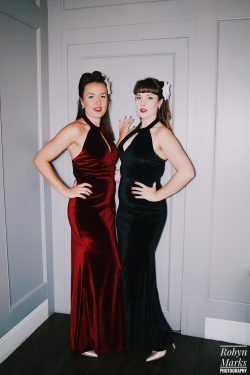 COMPANY OVERVIEW: Claire Louise can transport you back to the Gatsby era with her mix of 1920s/30s vintage songs and modern pop with a vintage twist a la Postmodern Jukebox, or give you a more traditional vintage feel with a 1940s to 1960s mix of traditional pop, jazz and swing revival. 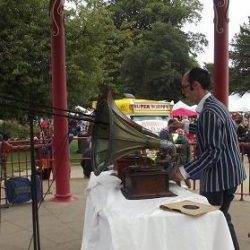 COMPANY OVERVIEW: DJ Time Machine can bring a vintage gramophone service to your wedding. With 1920’s horn gramophones and 30s/40s box gramophones, and a large collection of period records, covering jazz, ballroom, classical and popular songs of the time, all you need are your dancing shoes. 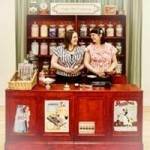 COMPANY OVERVIEW: Get that 'Kid in a Candy Store Feeling' for all your guests with Emily's Best Travelling Traditional Sweet Shop. 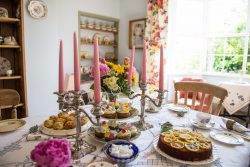 Your very own vintage sweet emporium will appear at your wedding, serving unlimited sweeties to you and your guests with a real WOW factor! With our Golden Tickets, it makes the perfect wedding favour too. COMPANY OVERVIEW: Let Enchants First Dance help make your wedding dance one to remember! Some couples need a confidence boost before dancing with their partner in front of a room full of family and friends, some couples want to surprise their guests with a choreographed routine and some couples want to entertain! Whichever category you fit into, they have something for you. In just a small number of enjoyable lessons Enchants can help you achieve your goal, you may even find the experience bonds you more as a couple on the run up to your day! Whichever song you choose, we can create something original! In a venue of your choice, your home or a venue we organise, it can all be created to your bespoke needs! Available in Shropshire, Staffordshire, Wolverhampton, Shrewsbury and surrounding areas. COMPANY OVERVIEW: With a voice full of emotion guaranteed to strike a romantic note on your wedding day. Serena Lin specializes in music from the 40s, 50s and 60s with a Jazz sound that is quintessentially vintage. Enjoy her smooth tones during your ceremony, over dinner or for after dinner dancing. COMPANY OVERVIEW: For modern vintage brides (and grooms!) 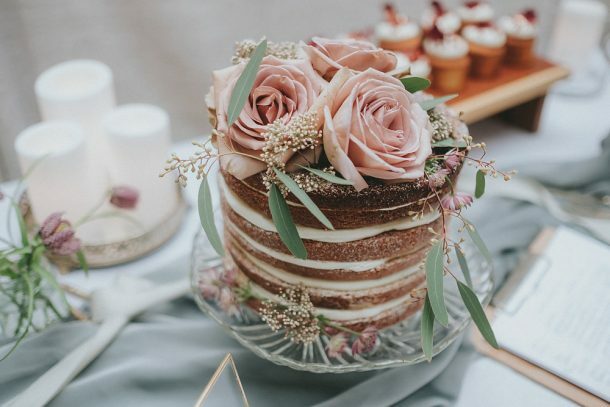 it’s about incorporating a few select vintage elements to their day. Music is one of the most important factors to set the mood and compliment that style. Choose either a saxophonist, vocalist or both! 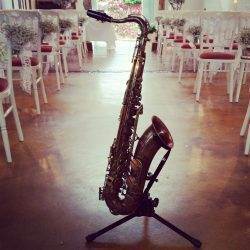 Not only will they perform the Jazz & Swing favourites, but specific songs can be requested upon booking and they will be specially transcribed and performed live during your celebration. 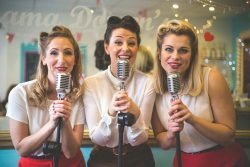 COMPANY OVERVIEW: The Lollipops are a leading female vocal harmony trio – specialising in arrangements perfect for vintage weddings, 1940s/WWII and 1950s themed events. These talented singers will soothe you with their close harmony arrangements, capture your heart with their style and make you want to swing with their authentic dance moves. 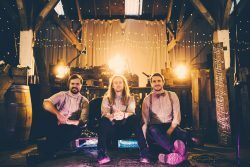 COMPANY OVERVIEW: A unique three piece covers band with a bit of a folky twist. 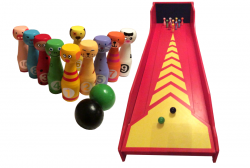 Perfect for weddings, corporate events and private functions. 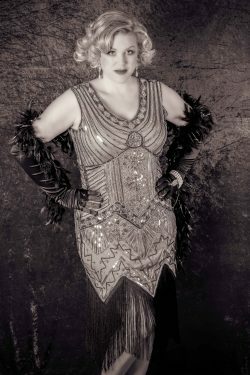 COMPANY OVERVIEW: Paula Marie is 'The Vintage Vocalist' - a unique solo vocal act bringing the music of the 30s, 40s, 50s & 60s to life! Influenced by legendary vocalists of the past, this talented singer possesses a rich, expressive voice that really does hark back to a bygone age. 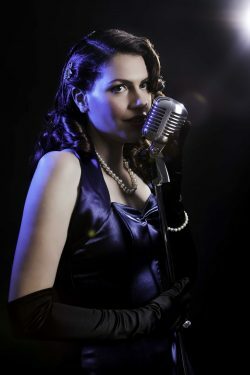 With an extensive repertoire, Paula Marie covers a diverse mix of styles including jazz, swing & big band, vintage pop, rock 'n' roll, movie songs and wartime classics. 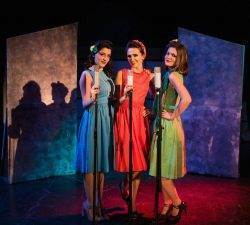 COMPANY OVERVIEW: The Hummingbirds UK are a Leeds-based, vintage inspired, vocal harmony trio delivering beautiful harmonies and exciting musical arrangements from classic songs from the 40s and 50’s. With victory rolls and retro red lips, the girls will transport you back to a golden era of fashion and music. Available for events throughout Yorkshire and beyond, The Hummingbirds UK have received incredible feedback from clients and audiences alike. 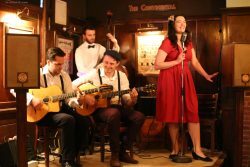 COMPANY OVERVIEW: The Vintage Agency specialises in providing the best in cool, vintage style music and entertainment for weddings and more. With DJs, solo musicians to big bands, cool magicians, circus acts and more. Natalia and Matt (both jazz musicians themselves) run the company with a personal approach and lots of friendly advice.